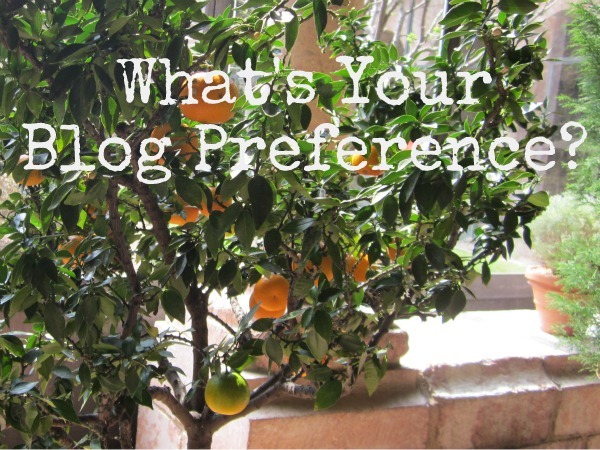 Catherine Denton: What's Your Blog Preference? 1. What are some blogs you visit daily? 2. What three things connect you to a blog? 3. Do you like a blog to be playing music? 4. Do you prefer to comment or lurk? 5. What five topics interest you most? I don't like music to play automatically when I open a blog. But I do enjoy having the option to play music when someone shares a song that's special to them. Comment, but I'll admit to lurking too. Heartfelt posts, DIY, life snippets, inspirational tips and outfits. Can't wait to hear your answers! Sounds like it's a great family/friend connection for you, Jen. That's awesome. I'm connected to a blog by the authentic voice of the blogger. I always like to leave a comment. Music doesn't play 'cos of copyright or something in SA? Interesting topics - art, creativity, peoples stories, spirituality, diy and art. I used to have a blogroll on my sidebar and loved it, but started having warnings of malware because of the links and finally had to take them off. I still connect through Google Reader but I miss having it here on the blog.